The AMI Affiliate in Nigeria is convening at an opportune time. Nigeria now boasts Montessori Schools in most of its major cities including Lagos, Abuja, Port Harcourt and Calabar. 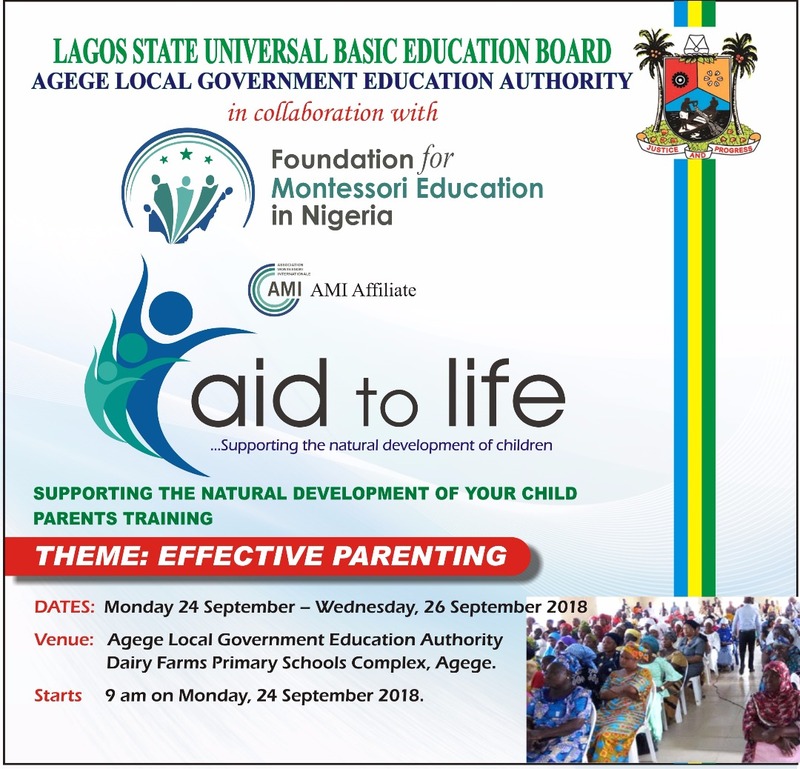 Many more parents are beginning to appreciate its unique advantages for their children and there is growing public interest in a Method that goes against the grain of the ‘rote style’ learning many Nigerians are familiar with. However, there remains many challenges to Montessori here. These include a lack of good quality training for those interested in learning about its Principles; which of course translates to a dearth of good quality staff in Schools. It also has to compete against the more popular and familiar educational systems such as the British and American Curriculums. Asides from this, Montessori in most parts of Nigeria does still remain a preserve of the privileged few; whilst its advantages would benefit the masses. Besides this, there are various ‘versions’ of the Approach with few systems in place to vouchsafe quality. The Affiliate, plans to provide information and support to all those interested in Montessori in Nigeria; to share its distinct pedagogy and try to disseminate its values to all. Opportunities for training will hopefully help to build upon what is currently available and our members can work together to encourage a good quality delivery across board. We are hopeful that our Outreach objective, will help make Montessori education more available to all as we partner with our government and other interested groups. The Foundation for Montessori Education in Nigeria (FMEN) seeks to promote integration, enlightenment and development using the Montessori framework for the benefit of society and the child. To be recognised as an inclusive entity and a point of dispersal for Montessori values in Nigeria, with the aim of supporting the child in finding his rightful place in society as the builder of Nigeria’s future and the world at large. Explore collaboration towards achieving our mission to support the development of the child by enlightening parents . Introduce Montessori philosophy to parents within the grassroots in parent groups. Advocate for the rights of every child to a good education. Support Government initiative in schools by providing teacher seminars and workshops . Advocate for the recognition of Montessori Diplomas from accredited Teacher Training Schools as a teaching qualification in Nursery Schools.